I was blessed with some lovely clear skies today, it's been 9 days since I last saw the sky with the overcast cloudy stormy mess that Florida seems to like to be these days. 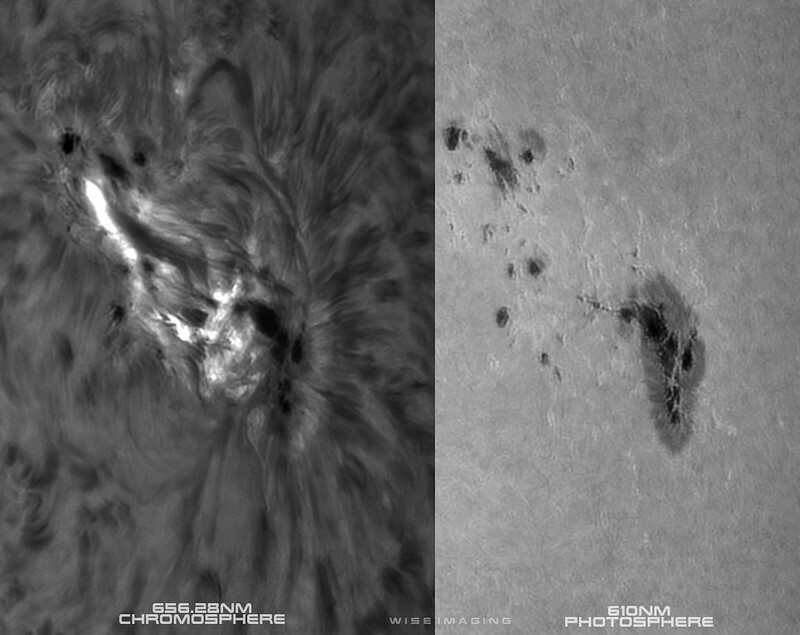 The seeing was not great, but it was adequate to at least attempt to use larger scales with and I managed to get a little bit of data on the notable features today, namely, the two active regions and the wonderful flaring sunspot in AR2736 that has evolved significantly since it showed up. 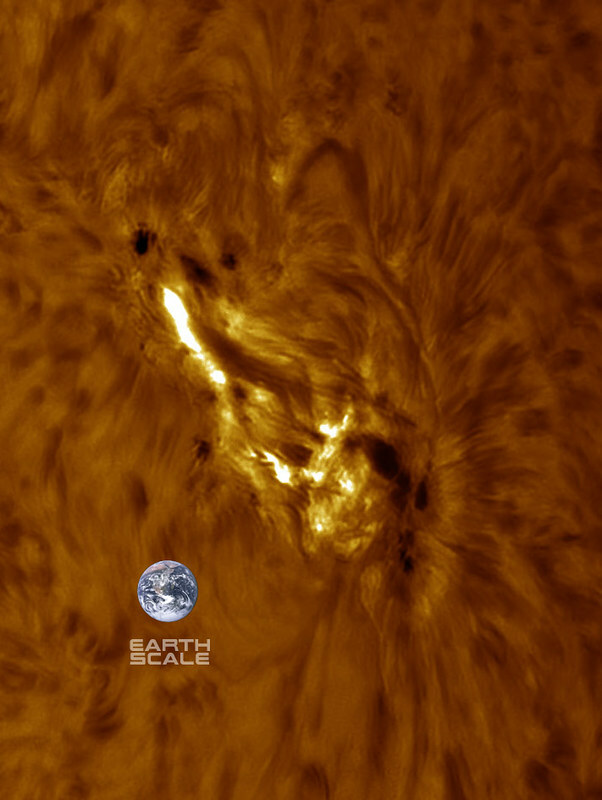 I'm very much looking forward to seeing it round the limb and hopefully it remains active and grows a bit as it rounds the limb to see some really cool activity there since it has so many little poles and keeps flaring a bit. There's a few nice prominence fields and a rather large one on the limb. 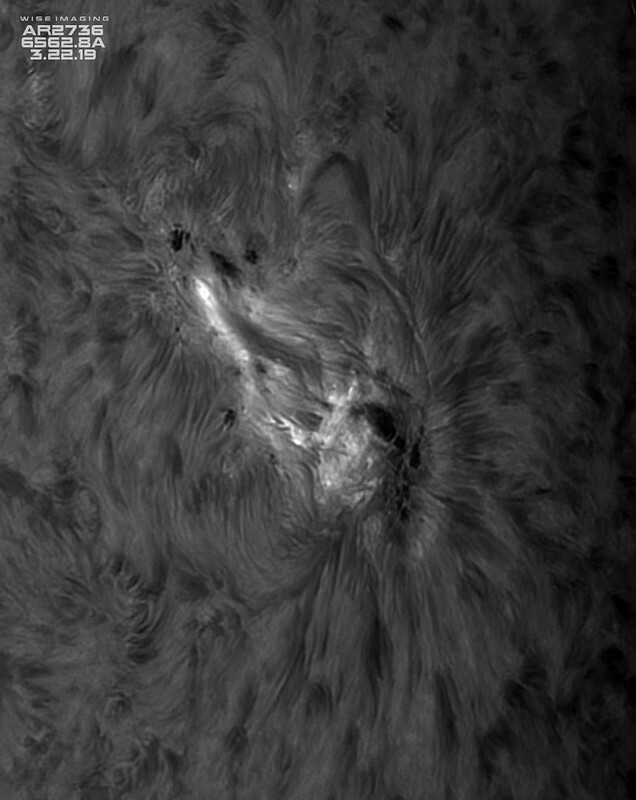 I was able to finally do a little white light imaging too, just in time for such a sunspot. The large HA presentation of AR2735 & AR2736 is a 3 panel mosaic. The full disc was created with 2 panels stitched together. Edited by MalVeauX, 22 March 2019 - 02:12 PM. Edited by MalVeauX, 22 March 2019 - 02:42 PM. Your the man or I should say the Solar man! Awesome shots! Seconded...and I love your equipment setup! 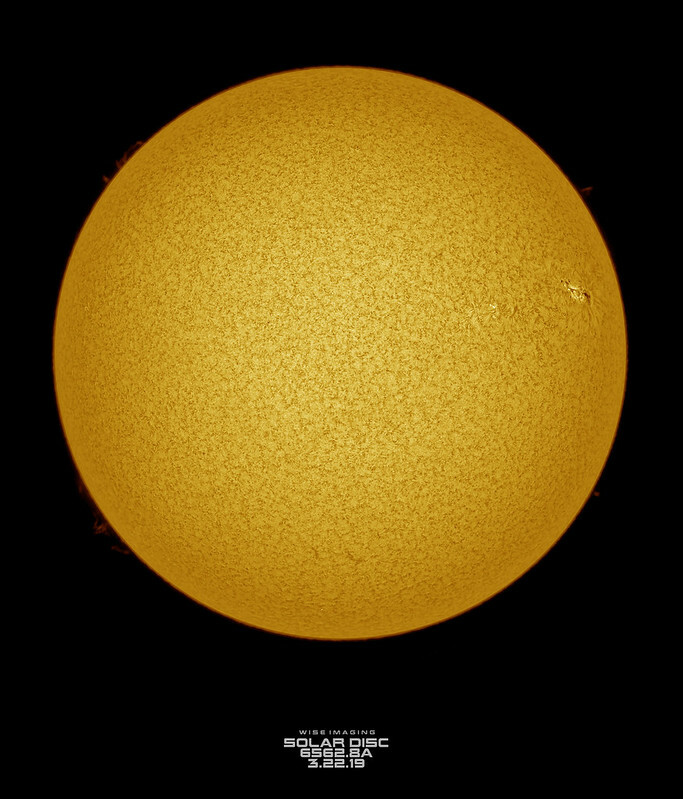 A question: how are these sunspots identified? I.e, how do you know which ones you are looking at? Is there some code or something to identify these? I believe the NOAA designates them officially. Great pic.s as always Marty. 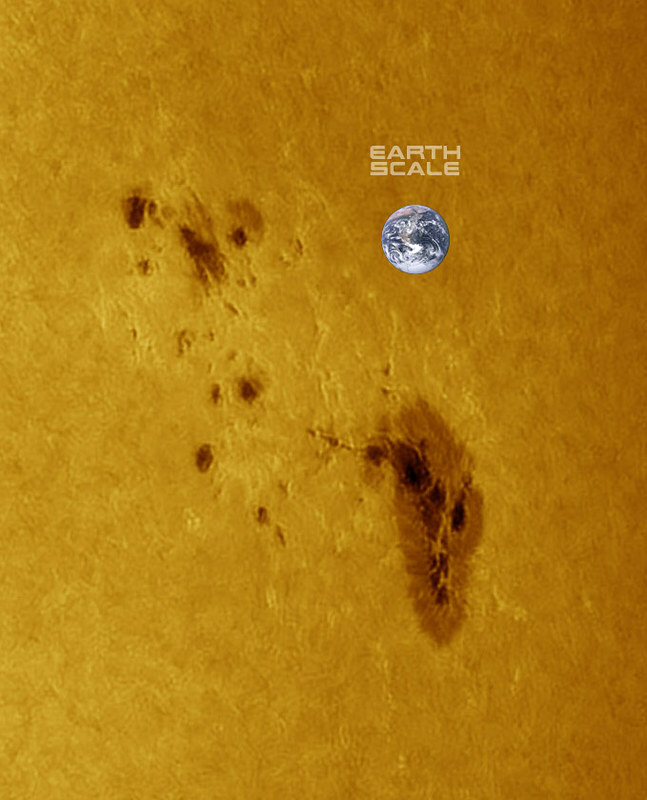 Is the first picture with the Earth to scale a colorized white light ? Once you have done the work to scale the Earth does changing the R.O.I. change the scale also ? 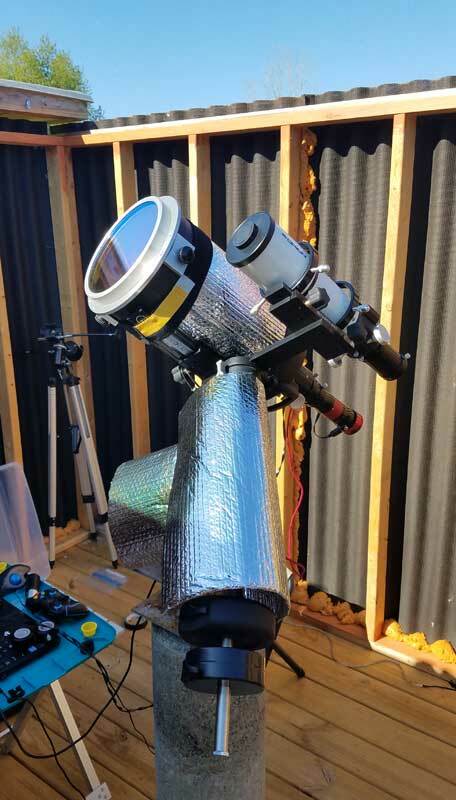 Yessir, the first Earth Scale image is merely colored white light (610nm long pass filter + Baader ND 1.8 filter with a 2x barlow to be specific). The seeing was not great by the time I got to white light so I had to use a longer wavelength to be able to get much which lowered the angular resolution a bit, hence the use of the red wavelengths. If seeing was great, I would have attempted it at 395nm probably, but the seeing didn't support that. I'm not sure I follow what you mean by the "changing the R.O.I change the scale" ? 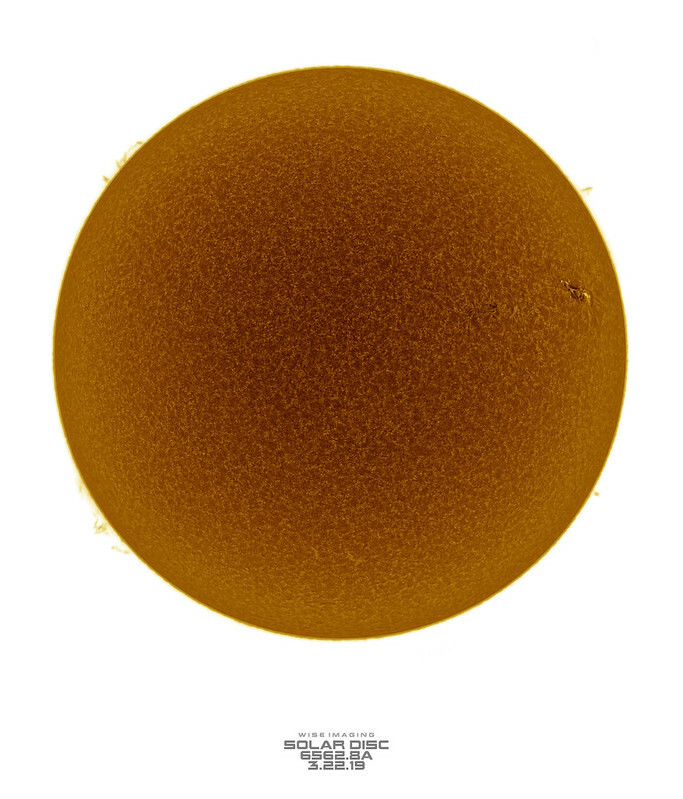 I generally simply figure out the scale of Earth's diameter to my large scale's diameter and then scale it based on the Sun being 109 Earth diameters, so I can then scale it down and it will approximately represent that scale to match it. All pretty fair images Marty. Welcome Back to the Sun! I really like those high magnification "portrait" images. Those are some awesome captures Marty. I finally got to see it today,we've had a couple of weeks of bad weather. 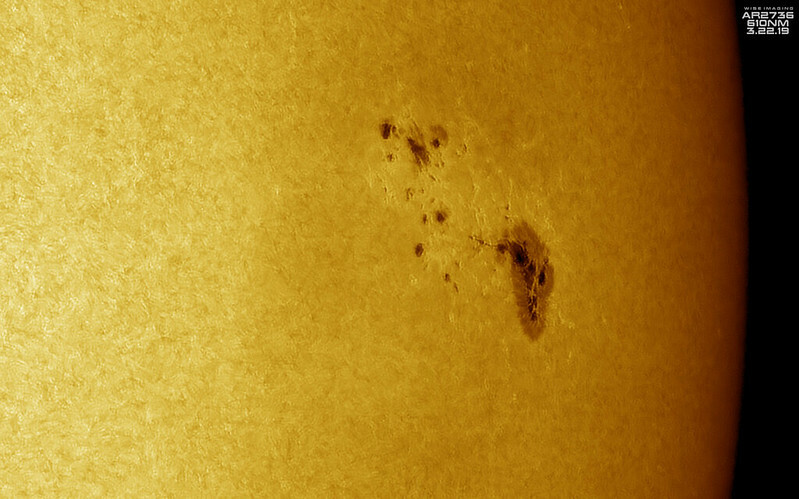 AR2736 is nearing the limb right now, with some fair little proms around it. I'm hoping the activity will sizzle a bit more closer to this evening as it kisses the limb and maybe we will see some interesting small filaproms!